Breast Cancer Network Australia (BCNA) supports all Australians affected by breast cancer, working to ensure they receive the very best support, information, treatment and care appropriate to their individual needs. BCNA is the peak national organisation for Australians affected by breast cancer, and consists of a network of more than 120,000 members and 300 Member Groups. More than 90% of members have had a diagnosis of breast cancer, and the remaining members have had a personal experience with breast cancer through a family member or a friend. It’s predicted that every day approximately 48 people are told that they have breast cancer- that is more than 17,500 women and 144 men every year. BCNA is there to support them. 10% of every pink BCNA sale will be donated to BCNA. Our pieces are made from sterling silver (925) with enamel coating and rhodium plating meaning they are built to last. Crafted to the highest standards via a strict quality control process, we guarantee the integrity of each piece. Made from sterling silver, the supporter range of earrings are the perfect match for any discerning supporter. Offering a choice of brass with sterling silver plating on leather or rubber chain and providing the flexibility to add pendants to show your support for multiple teams. Our premium necklace range is an ideal way to dress up any supporter's dress. Made from sterling silver and rhodium plated, this quality jewellery piece will last for many seasons to come. Sports Fever Jewellery is a family run company based in Queensland, Australia. 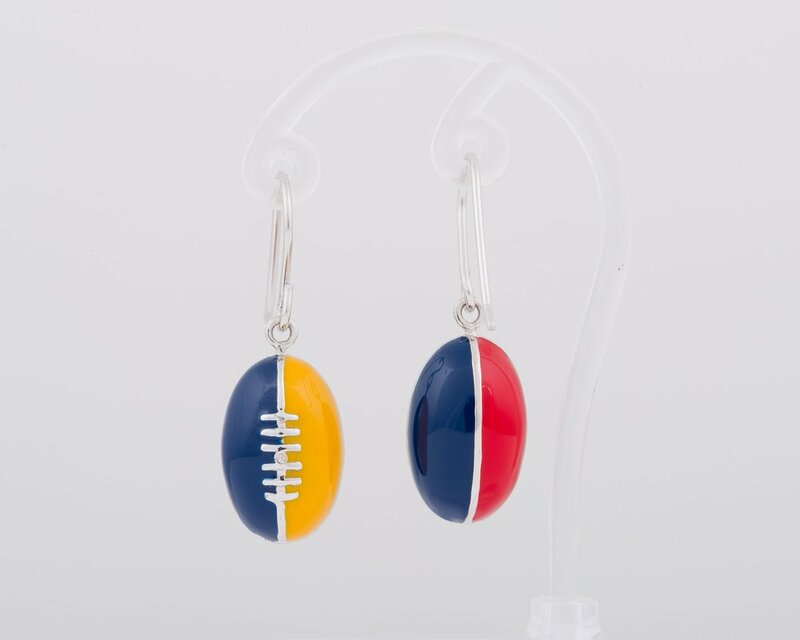 We specialise in high quality, yet affordable jewellery and have launched this new innovative range to help the true sports supporter wear their team’s colours with pride. We strictly supervise all aspects of production to ensure there is no compromise in quality. All of the SFJ range of jewellery is made from solid Sterling Silver (925) with an enamel coating and rhodium plating. With all items hallmarked with the SFJ logo, you know that you are buying the genuine article.